The disparity in homeownership is the highest it’s been in seven decades, as African-American households rebound more slowly from the damage of the Great Recession and the subprime mortgages that disproportionately targeted minorities. 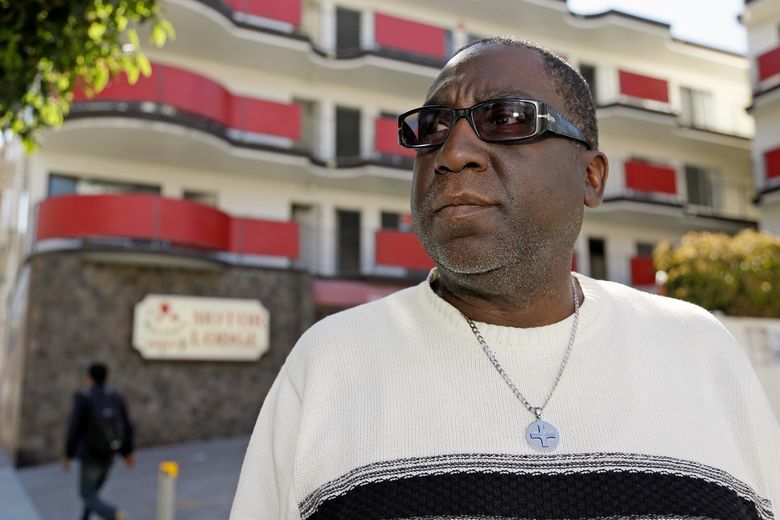 SAN FRANCISCO — Yul Dorn and his wife raised their son and daughter in a two-story home crammed with family photos, one they bought in a historically African-American neighborhood in San Francisco more than two decades ago. The Dorns expect to join the growing ranks of African Americans who do not own their homes, a rate that was nearly 30 percentage points higher than that of whites in 2016, according to a new report. The nation’s homeownership rate appears to be stabilizing as people rebound from the 2007 recession that left millions unemployed and home values underwater, according to the report by Harvard University’s Joint Center for Housing Studies. But it found African Americans aren’t sharing in the recovery, even as whites, Asian Americans and Latinos slowly see gains in homebuying. The center said the disparity between whites and blacks is at its highest in 70-plus years of data. “It has always been historically and systemically harder for blacks, and we were seeing there a little bit of progress, and now we’re back at square one,” said Alanna McCargo, co-director of the Housing Finance Policy Center at the Urban Institute, a think tank focused on inner-city issues that published a similar report. King County was once well above average for black homeownership — 49 percent of the county’s households headed by African Americans owned their home, versus 42 percent nationally. But black homeownership in King County has steadily declined, to just 28 percent, far below the national average. 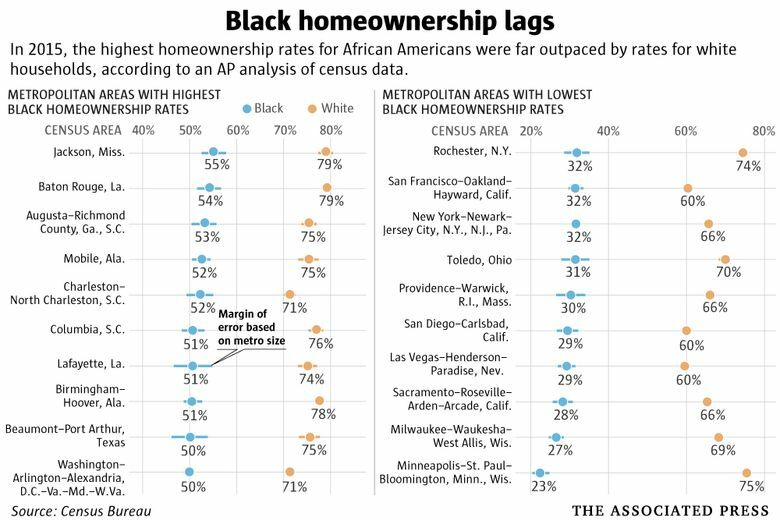 An AP analysis of U.S. Census Bureau statistics shows some pockets of the Midwest and California had the lowest homeownership rates for African Americans, while some areas of the South had the highest. Low inventory adds to the problem, said Jeffrey Hicks, incoming president of the National Association of Real Estate Brokers, which was founded in 1947 to promote fair housing opportunities for minorities. The Atlanta area has only about 30,000 properties for sale through real-estate agents, compared with roughly 100,000 about 13 years ago, he said. African Americans snapped up homes at the peak of the housing bubble, lured by generous lending and a glut of affordable properties, housing experts say. Lenders also targeted minorities, pushing riskier subprime loans even when applicants qualified for lower-interest loans. Graciano de La Cruz, 70, grew up in San Francisco, the child of a Filipino father and an African-American mother. In the 1960s, the city condemned his mother’s house for redevelopment in the historically black Fillmore neighborhood. She was given a housing voucher and became a renter, losing any equity she could have passed to her children. He and his wife, Buena, who is Filipino American, must now sell their own home of two decades to pay off a debt that stemmed from a “pick-a-payment” loan with World Savings Bank in August 2006. They asked for a loan with a fixed rate, but the lender said an adjustable-rate package would meet their needs. The initial monthly payment for the pick-a-payment loan was about $1,700. Dorn, the 60-year-old pastor, says Chase misapplied a payment he made in 2008 and then failed to keep proper records. His attorney at the time, James Cook, said Dorn also was the victim of “dual-tracking,” when a bank advances the foreclosure process while the homeowner works to secure a loan modification. The practice is now illegal in California under a homeowner “bill of rights” that became law in 2013. Yet there are bright spots in the homeownership front. The New Haven metro area in Connecticut, for example, reported an increase in black homeownership from 2010 to 2015. Georgia’s Albany area, which is predominantly African American, saw a 15 percent increase from 2005 to 2015. 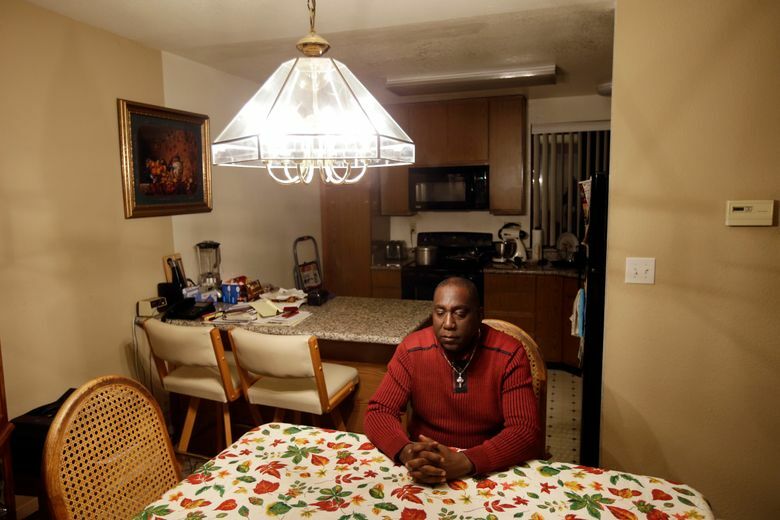 In Detroit, a largely African-American city wracked by foreclosures, the mayor last year announced a financing program to make homebuying easier. Previously, banks couldn’t provide loans for more than a home’s appraised value, which wasn’t enough to cover needed repairs or renovations.